We are excited to share this coverage highlight from the September issue of InStyle Mexico. 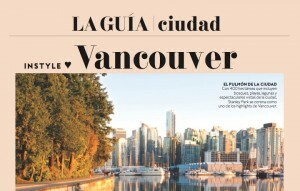 This is a result of an OPUS Loves Local press trip back in March to tour a group of travel media from Mexico, through some highlighted Yaletown businesses including our own WildTale. 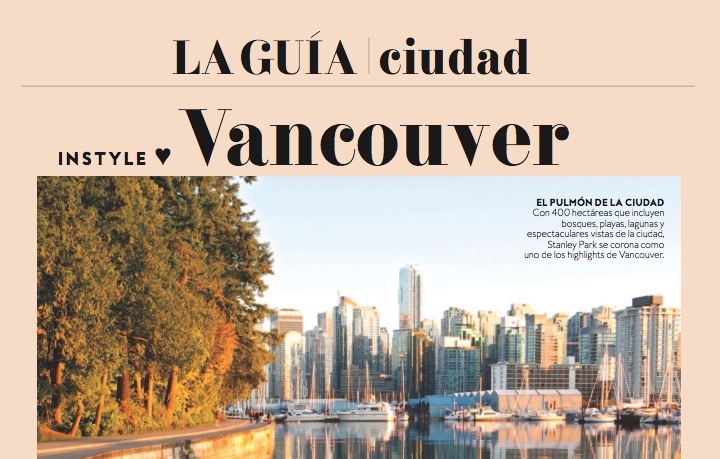 The article is in Spanish if you can read the full text here. We’ve also included translation in English here as well – you will find WildTale about 2/3 of the way down in the Food Section. If what you’re looking for is to give yourself a closet upgrade with new luxury pieces, this is the place for you. In this classic Canadian boutique, you’ll find the ultimate labels including Acne Studios, Akris and other exclusive brands like Aesop, Byredo and Dyptique. A huge selection of sombreros, baseball caps, beanies and accessories of every type you could ever want can be found in this Yaletown boutique. And if you’re someone that thinks you don’t look good in any hats – forget it. Here, the experts will help dissolve this myth and find the perfect one for you. This is the ideal place to find unique and extravagant pieces. In 2000, the vintage- lover Kildare Curtis opened this space to offer something different to what is so often found in larger chains. He achieved this, and now you can find pieces by cool brands such as Henri Vibskob and Strathcona Stockings. Between the many activities this cosmopolitan city offers, take a little time to relax and reserve an express facial in this mini spa that only uses its own products, made proudly in Canada. The best part is that they are personalized and at the end, they’ll tell you exactly what to take home to stay just as glowing as the moment you leave. The coolest departments and houses in Vancouver have something in common – pieces from The Cross, a furniture and accessories store that sells vintage-style pieces for the home (think Anthropologie but in local XL version). You could spend hours going over its corner pieces, particularly if you are fascinated with everything related to stationary – there is a huge selection, you won’t want to leave. everything transmits a natural and bohemian vibe that you’ll want to take home. You’ll also love the selection of coffee table books. “Simplicity” is the word that would describe this little boutique in the neighbourhood of Mount Pleasant, surrounded by other independent stores. Its biggest pride is that it sells beautiful, well-made products that are unique and made by local brands. The gifts you can buy here will never have been seen anywhere else. When Nancy Jenelic, the owner, lived in Japan with her dog Quentin, she fell in love with everything this Oriental country offered for him, from embroidered bombers to mixed-fibre raincoats. Upon returning to Vancouver, she decided to replicate this experience by offering unique products for puppies that are highly desired in the city. If you’re looking to bring back a souvenir for your pets, this is a necessary stop. It’s impossible to return unsatisfied from Vancouver: its cafes, restaurants, hotels and ice cream stores are full of charm and flavour in excess. You’ll be required to stay a couple of days extra. There’s no brunch quite like this welcoming local spot. The Belgian waffles are the specialty, and the pistachio toppings and rose water and salted caramel are irresistible. Add a lavender latte and you’ll have the perfect breakfast. Born as a food truck on the beaches of Tofino, its excellent reputation brought it to different spots around the city, letting loose that surfer spirit. The menu is just as cool. Try out the soft and crunchy meat taco, with flour or tortilla. 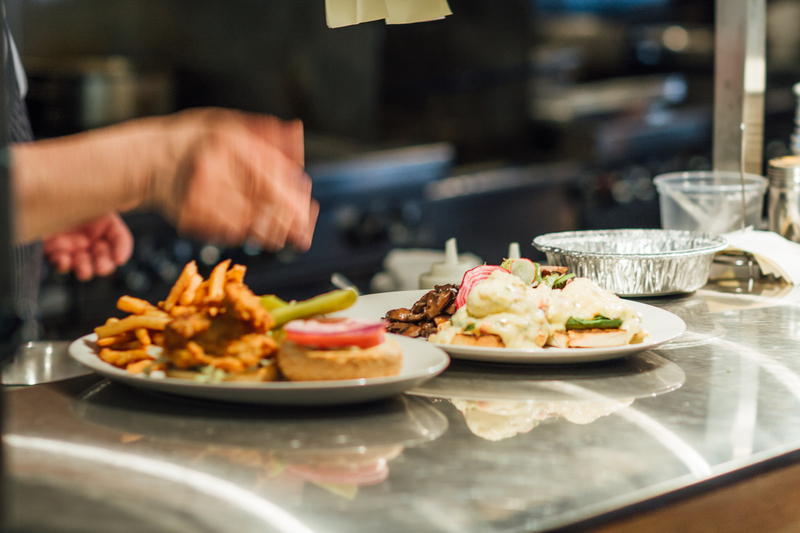 Vancouver is surrounded by water, so it would be a sin not to try the different fish and seafood options of the region – the freshest ones can be found here. If the climate permits, reserve a spot outside on the beautiful terrace. If your plan is to end the day on a high note, this is the place to do it. 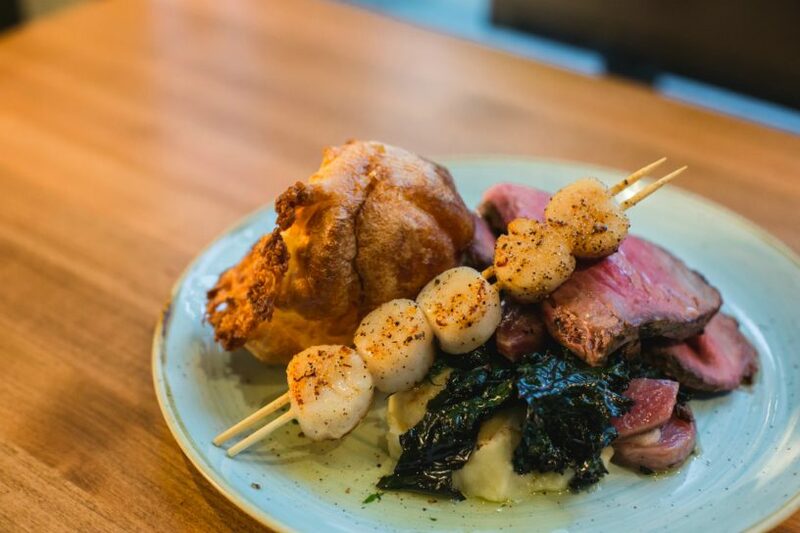 Considered by the locals as one of the best restaurants in the city, it honours and compliments classic Canadian cuisine with a contemporary twist. This Italian spot selects solely seasonal ingredients and the result is a changing and creative menu. Choose a pasta made by hand, or leave your decision in the hands of the chef so he can choose a family style menu to your taste, to share. This isn’t your typical Japanese restaurant. Here, Japanese traditions are mixed with those of the North American west coast to offer even more original dishes, including oven-made sushi or fried seafood. If you want the complete experience, ask for the Aburi Shokai, the four-course menu combined with sake. Located in the heart of the hippest neighbourhood of the city, Yaletown, OPUS allows you to be close to everything. You’ll feel like a local in your room, that closer resembles an apartment than a hotel, and the bar serves some of the best drinks in the city, like the grape liquor Little Chille…. oh and your pets will be welcome (and extremely happy). Visit the Public Market and try all the local delicacies, like the Kaylin & Hobbes pickles, or take a tour of Granville Island Brewing and discover how some of the best beer in Vancouver is made. Made with liquid nitrogen and a variety of natural ingredients, there is no ice cream quite like that from Mister. Ask for the crème brulee ice cream, and if you’re feeling extra bold, make it a sandwich with chocolate cake made in-house. You won’t regret it. In Sweden, it’s common that children spend most of their pocket money on candy. Louise, the owner, replicates this tradition by importing the richest, sweetest candy straight from Scandinavia. 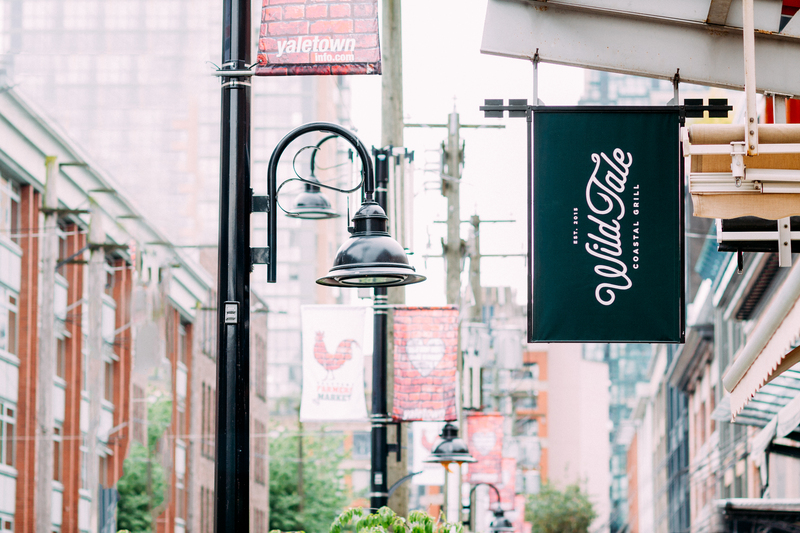 WildTale’s original location just recently celebrated its second year anniversary and it is great to be part of the Yaletown community. WildTale is ready to welcome a new member to the family with WildTale Olympic Village. Situated in Tower Green right next to The Flying Pig on West 2nd Avenue, WildTale is set to open very soon. 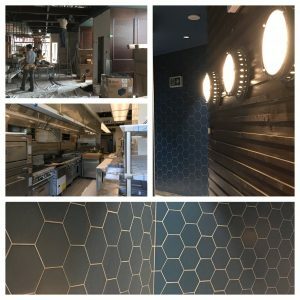 We have a couple images to share and whet your appetite. Make sure to come back often and check out our Social Media pages for more info as we get closer. 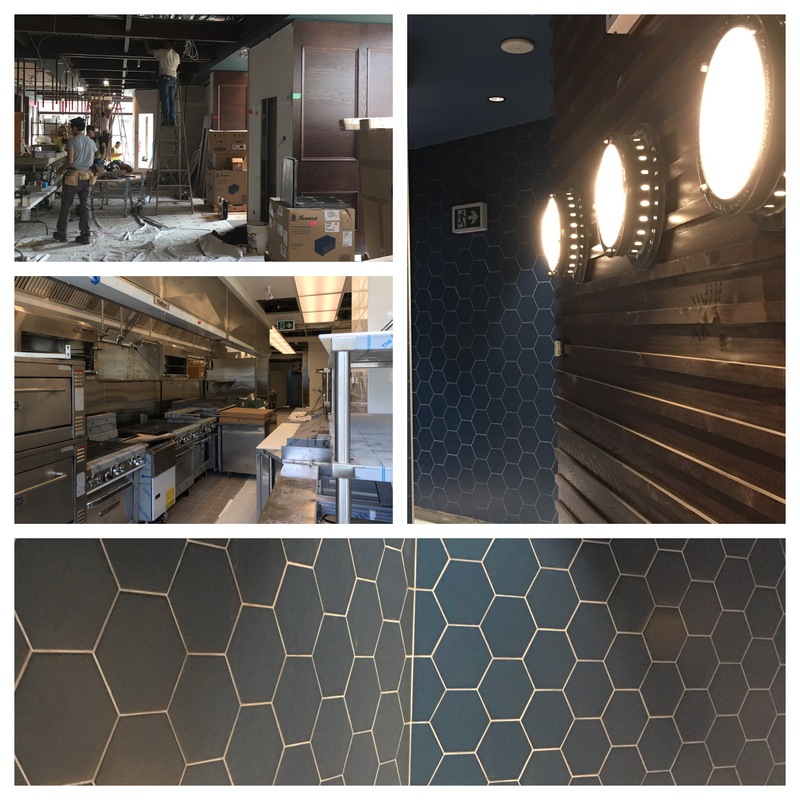 We look forward to welcoming you to the new space very soon. 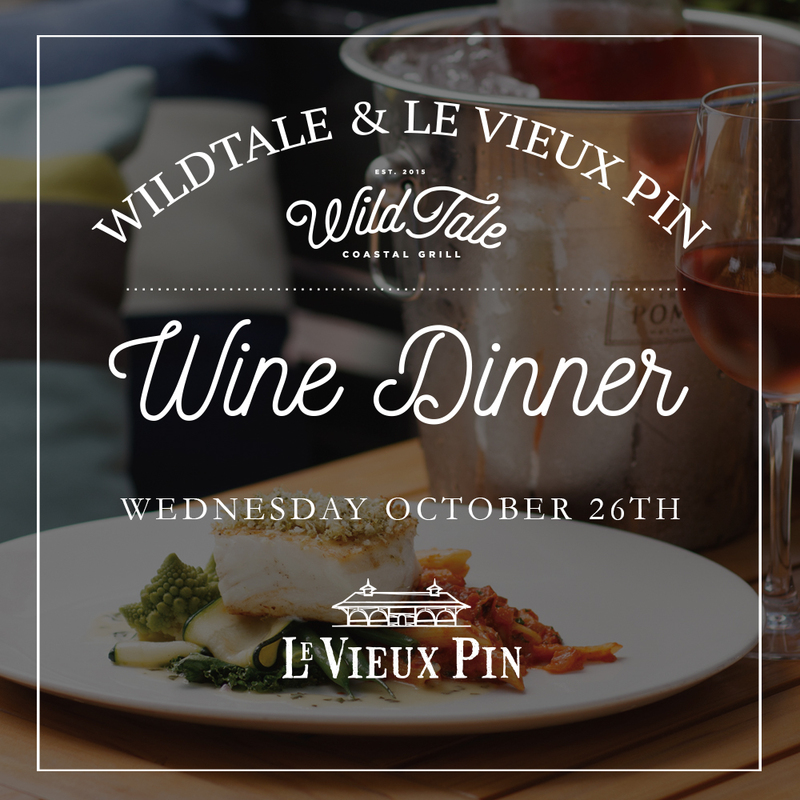 Join us for a rare opportunity to taste some of the outstanding wines produced by our friends at Le Vieux Pin Winery paired with menu creations by WildTale Executive Chef, Andrew Smith. Tickets are available for $125 inclusive of taxes at the WildTale location. Call 604-428-9211 to reserve your seat. 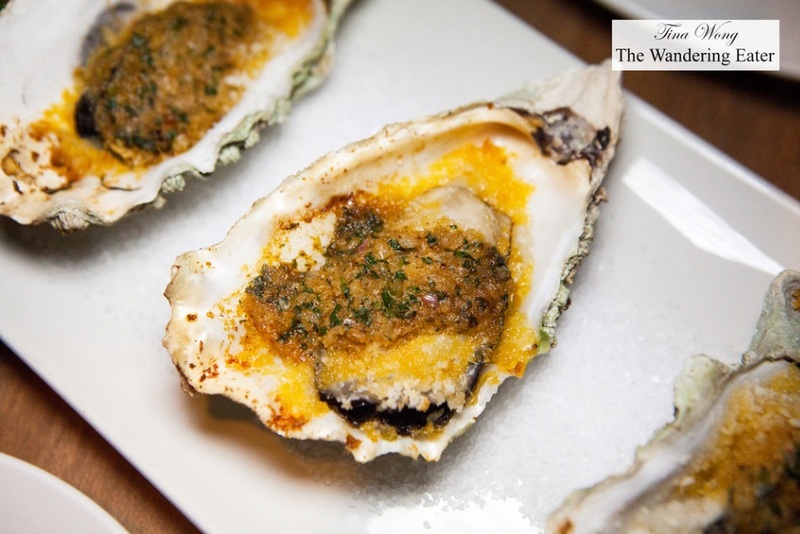 A couple of years ago, when the idea for WildTale was just beginning to take form, we noticed that for a city so perfectly situated on the ocean’s edge, there weren’t as many great seafood restaurants as one might expect. We set out to help change that and it seems that others had a similar epiphany. We are very proud and happy that Forbes Travel Guide would choose to include us in its review of all things “seafood and views”. 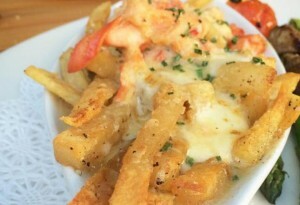 Wild Tale Coastal Grill is a casual West Coast seafood spot with a killer patio on Mainland Street and a fantastic daily happy hour from 4 to 6 p.m., offering dishes such as lobster poutine and halibut poppers. The menu pays homage to seafood from around the country with PEI mussels and Nova Scotia scallops featuring alongside Lois Lake steelhead and Haida Gwaii sablefish. 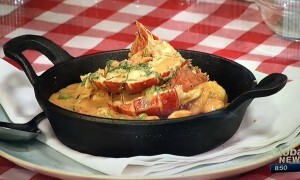 Daily specials like halibut and hand-cut fries or West Coast seafood paella hover around the $12 mark offering excellent value for money, making it a perfect pick for the end of the month. Don’t miss: The Sunday night Maritimes-style lobster suppers with five set courses and a one-pound lobster of your very own for just $50. Click here for full article and all featured restaurants. Wild Tale is a fairly new seafood restaurant founded by co-owners John Crook and Erik Heck. In recent years, they’ve made a name with their crowd-pleasing Flying Pig restaurants. The whole concept of this place is California-fresh, easily affordable, simple seafood restaurant. The dining room is spacious with some wood trim to make it feel rustic and squeezed in a few more tables on the bare-bones patio. The color scheme is beige, cream and hunter green. Sort of feels like a fishing lodge. There is nothing revelatory about the menu – and that’s a good thing. It’s comfort seafood, done well for the most part. 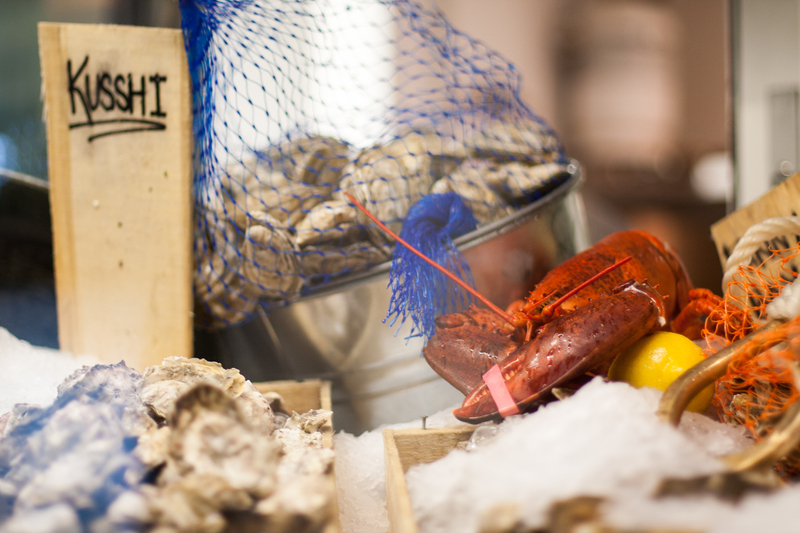 The vast majority of the seafood is Ocean Wise-friendly. Fortunately for the locals, the daily catch isn’t limited to the Pacific Northwest. 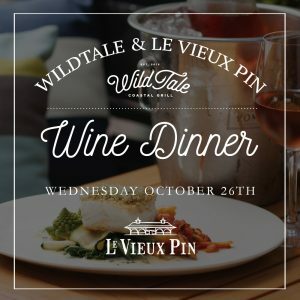 Carolyn Heller of Forbes Travel Guide has some nice things to say about recently open Vancouver restaurants, including our own WildTale. For a region focused on the sea, Vancouver has surprisingly few straightforward seafood restaurants where you can get great grilled fish with interesting accompaniments. Enter WildTale, a stylish seafooder in Yaletown. Begin your experience with a glass of B.C. wine and something from the raw bar, whether it’s fresh oysters (East Coast, West Coast or fried) or Hawaiian-style ahi tuna poke with avocado and jalapeño. Then see what’s on the fresh-catch menu of simply grilled fish — just the thing for a memorable Pacific Northwest culinary voyage. To read the entirety of her article, please click here. Here is more of what she had to say about ours and nine other local offerings that will have you rethinking any detox.